Every day is different for Ashley Hatch who manages donor relations for the Sisters of Notre Dame. She often works in the office, collaborating with the team on events and creating appeal campaigns. Other times, she travels and meets with donors. “I truly enjoy working with such a dynamic team. We all believe and share in the mission of the Sisters of Notre Dame. There is something unique and special about working where I do and most importantly, the effort is rewarding,” she says. 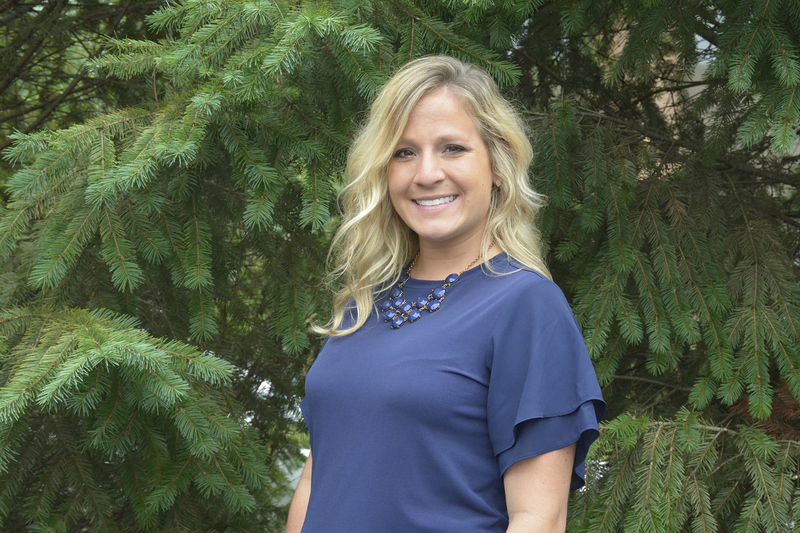 No stranger to working for women religious, Ashley served as an administrative assistant for the Sylvania Franciscan Village, a ministry of the Sisters of St. Francis of Sylvania before securing a Development/Communications Coordinator position with the Notre Dames. In just one year, she was promoted to her current position. “The SND do marvelous work! I love being a part of their mission, interacting with our donors, hearing their stories and learning their relationship with the Sisters. Each day, I learn and feel like I have done something worthwhile. You truly cannot have a bad day when you are surrounded by such influential and humble women who devote themselves to bettering the community,” she says. The future is bright indeed for Ashley. Blessed with a rewarding and fulfilling job, she also is enjoying her role as a wife and friend. Married in September 2017, Ashley and her husband are looking forward to an especially wonderful Christmas gift this year – the birth of their first child.